Freshman Adam Gwara puts a candle down at Nov. 20's Transgender Day of Remembrance vigil in the Student Center Circle. It may have been nighttime, but Nov. 20’s Transgender Day of Remembrance vigil was about stepping out of darkness. “While there are so many candles, they have millions of people who support them. 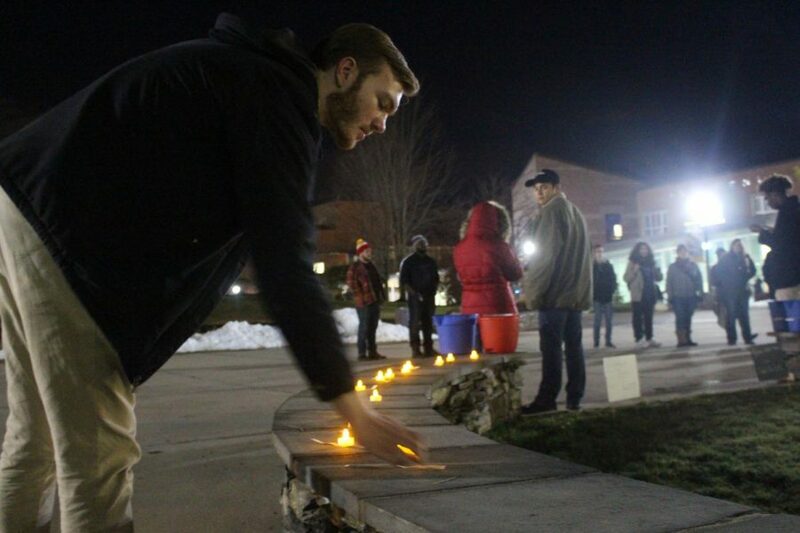 We have never met any of these people, but we are crying and mourning their deaths,” Central Connecticut Pride President Armando Osorio said at the vigil at the Student Center Circle. Volunteers read off the names and causes of death of transgender individuals killed in anti-transgender violence, placing a candle for each one. CCSU’s all-male acapella group Divisi performed as well. By the end of the vigil, the circle was illuminated, but not big enough to hold a candle for each one of the 369 people killed between Oct. 2017 and Sept. 2018, according to the Trans Respect Versus Transphobia project’s November report. At least 22 of those murdered were in the United States, with most transgender women of color, according to the Human Rights Campaign. The numbers may be larger, as the HRC suspects the number of deaths is largely underreported. Management senior Katie Robucci cried as she placed candles, remembering her brother’s gender non-conforming best friend who experienced homelessness after being kicked out of their family home. “It’s just mortifying to know that even being where they are on their own, the only way that they can be happy is being at such huge risk,” Robucci explained. 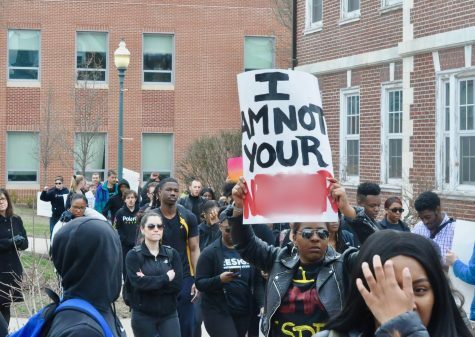 Earlier in the day, the LGBT Center hosted a rally where students, staff and others shared stories of being in the transgender community and called for awareness to the killings. “When I walk home at night, I don’t wanna have to wonder whether I’m gonna be person #370 this year. I don’t wanna be here tomorrow reading the name of my girlfriend who is too scared to transition where she is now,” Marco said. Myles Place, Pride’s secretary, echoed sentiments of other speakers that going home for the holidays meant going into hiding, but shouldn’t have to be. “I’m going to have to not be myself and wear a nice dress and be a good daughter, but I’m not a daughter. I’m a son. A future without transphobia could look like young trans kids getting to have families that tell them that they love them,” Place said. The message of the rally and vigil was clear: transgender people should live equal and safe like everyone else. “I won’t ask for a moment of silence today. 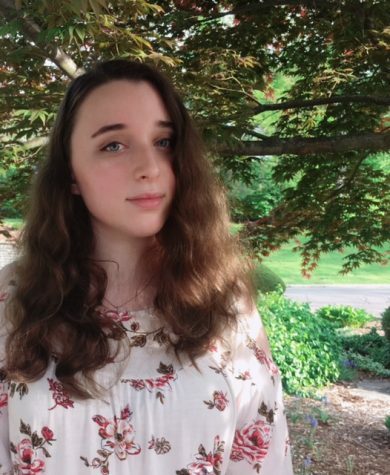 We have silenced trans lives for a very long time,” President of the Connecticut Transadvocacy Coalition Natasha Lombardi said during the rally. CCSU Pride meets Tuesdays in the Sprague Carleton at 8 p.m. The LGBT Center is located in rooms 304 and 305 of the Student Center.